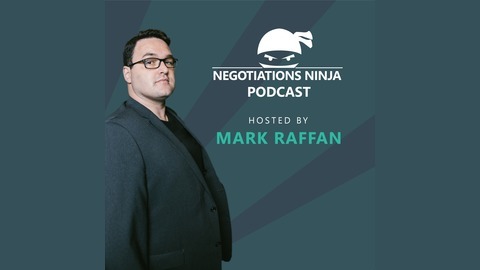 Negotiations Ninja Podcast develops and delivers the most engaging negotiation content in the world and consistently ranks as one of the top negotiation podcasts. We explore negotiation strategy, negotiation tactics, stories of negotiation failure and negotiation success. 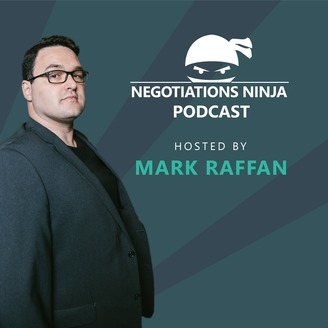 We host negotiation experts, business people, and entrepreneurs from all walks of life and discuss which negotiation tactics work, which negotiations tactics don't work and how we can improve our negotiation skills. Marty Latz joins us to help understand how Donald Trump negotiates. Marty has analyzed more than 100 Trump negotiations and shares dozens of Trump's strategies - highlighting which to use and which to avoid. Regardless of where you stand politically, that one new Trump tactic you gain may make the difference between walking away a winner and leaving empty-handed. What does it all mean for Trump as President? What impact does his tactics have on global negotiations and the U.S.'s position on the world stage?